Robert John Downey Jr. was born in Greenwich Village, New York City in 1965. He's the son of underground filmmaker Robert Downey Sr. Lived with Sarah Jessica Parker for 7 years during the 1980s. Was roommates with Kiefer Sutherland in the early '80s. I really like Robert. 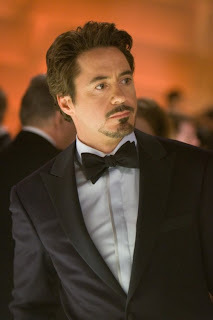 I didn't really pay much attention to him until Iron Man but I loved his character and he grew on me. He's a cutie for an older man. One of the things that I admire about him is that he picked himself up. He did such a great job remaking his career after he kept getting in trouble and now he's probably one of the most sought after men for roles in films. I think that's very cool. You should watch Chances Are, his best movie ever! Oh bebe, he is so talented! He's super funny and his acting skills are awesome. I'm so glad he got off the drugs because his career took off right after he got better, good pick Cindy! Oh god he is such a cutie. And he is such a talented actor. HE'S MINE!!!! I j'adore him. LOVE!